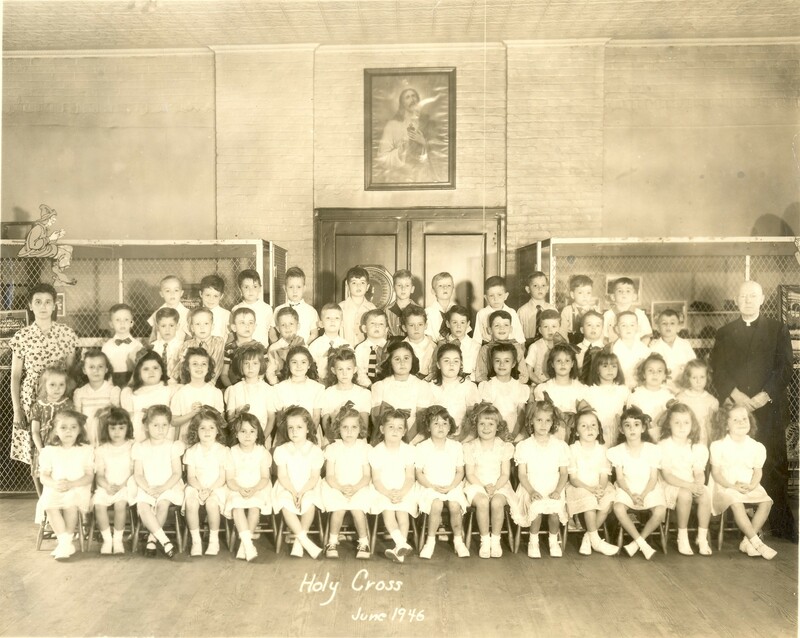 Class portrait of Frank and Mary Macchiarola in kindergarten at Holy Cross, Brooklyn New York. Frank is back row, second from the right. Mary is front row, on the far right. 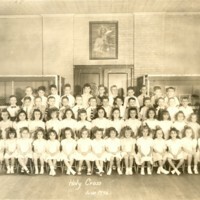 “Frank and Mary Macchiarola Kindergarten Class Photo,” The Frank J. Macchiarola Digital Archive, accessed April 25, 2019, http://macchiarola.sfc.edu/omeka/items/show/115.